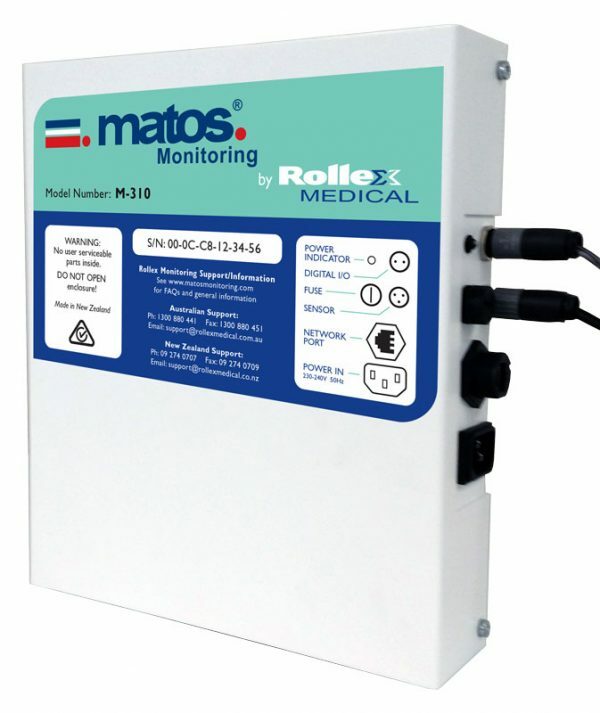 MATOS® Monitoring can now be retrofitted to any fridge, freezer, cool-room or airspace with the new MATOS M-310. MATOS® Monitoring can now be retrofitted to any fridge, freezer, cool-room or airspace. This can be achieved with the use of our new MATOS® M-310 stand-alone monitoring unit. Developed and built in New Zealand, the M-310 is a robust, secure monitoring unit that is wifi and cellular compatible for all your monitoring environments. • New Zealand and Australian compliant. Standard MATOS® Monitoring terms and conditions apply. Extra charges may be applicable for excess sms alerts.